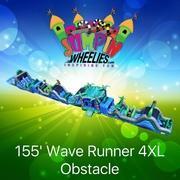 At Jumpin Wheelies, we are committed to excellence. 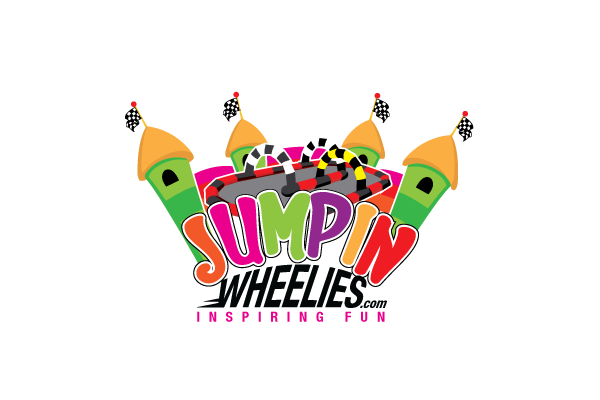 We want to help you realize an event does not have to be hard work if you leave it up to the professionals at Jumpin Wheelies. We are Safety Certified and Insured as well have very detailed safety and cleaning procedures that go far beyond any we have ever seen. No matter what type of event you are planning from holiday parties, corporate gatherings, church functions, aschool fun fair or field day, we can handle any event, party, or gathering with ease. Your event is our event and your ease and happiness is how we measure our success! 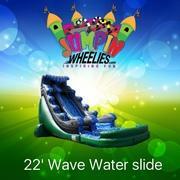 Jumpin Wheelies is your NWI Party Rental Company. 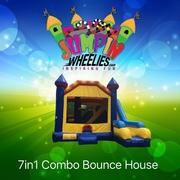 Unique, safe, sanitary inflatable bounce houses and party rental equipment is our speciality. We are safety certified and insured because safety is our TOP priority. Serving Dyer, St. John, Cedar Lake, Crown Point, Schererville, Lowell, Merrillville, Hammond, Crete, Lynwood, Lansing, Glenwood, Olympia Fields, Beecher and many more locations.